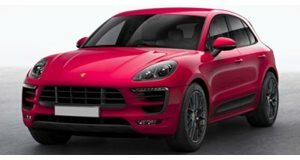 Does It Make Sense To Compare A Porsche 944 Turbo To A Macan GTS? There is a point to be made here. Back in 1987, one of the coolest driver’s cars you could buy was the Porsche 944 Turbo. It’s still a fantastic driver’s car, but it’s definitely more of the vintage category. The passing years does that. But back then, some 30 years ago, Porsche’s lineup wasn’t anything like it is now. Think about it: no Panamera, Cayenne, Macan, and 718 Boxster and Cayman. You had the 911, of course, along with the front-engined 928 and 944. That’s it. The lack of diversification was actually hurting the brand, and it knew, long-term, it needed to expand if it wanted to survive. Solely being a niche sports car brand sadly couldn’t cut it, financially speaking. But in this new video from the Porsche Club of America, a 1987 944 Turbo is pitted against a 2017 Macan GTS. What do they have in common? Literally nothing, except for the Porsche badge. But what PCA wanted to know was whether three decades of technological developments on Porsche’s part are good enough for an SUV to beat one of the best sports cars for its time. Not everyone, notably the die-hard purists, are thrilled with what Porsche has done with its product expansion, but it happened for good reason. What do those deploy loyal fans think is funding the 911, 718, and racing programs? And, as the video reveals, the Macan GTS is still one hell of a ride around the track, despite the fact it’s an SUV. Very few automakers can successfully blend performance and handling with something that weighs more than two tons.